A fun and quirky online casino based on a fictional Italian pizzeria that is run by a gregarious and slightly dotty chef. 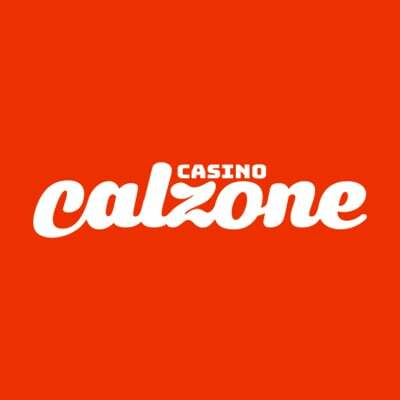 Operated by MT Secure Trade Ltd. and licensed by the Malta Gaming Authority and the UK Gambling Commission, Casino Calzone has gained the attention of its players. The software is powered by NetEnt, who have some of the most popular high-quality games in the industry. There is a large selection of casino games from the simple three reels slot game, the more modern video slots, Progressive Jackpots, casino favourites Blackjack, Roulette and Poker and a great selection of live casino games. The site is very playful and filled with colour and the home page features a pizzeria adorned with a red canopy with the casinos name emblazoned across it in white lettering. The theme and design help it stand out from a crowd and if that’s not enough to captivate attention, Casino Calzone have their own game called the Magic Holy Calzone Wheel. The Holy Calzone wheel has three different types of spin values and each wheel offers lucky winners a cash prize jackpot. Launched by Fast Track Solutions, it is owned and managed by MT SecureTrade Limited, which is a business based in Malta. Calzone Casino is regulated by the UK Gambling Commission and adheres to the very strict policies that are in place in the EU. There is a 25x wagering requirement before you can withdraw your winnings. Please remember that the welcome package is only valid for 30 days after you claim it. Deposits made with Skrill or Neteller are not eligible for the Welcome Bonus. Winnings from free spins have a wagering requirement of 35x. Using an established platform like MT SecureTrade means that the casino can offer a very large range of currencies and payment methods. The casino accepts AUD, CAD, EUR, GBP, NOK, SEK or USD. As for withdrawal timeframes, it all depends on which you choose. Wire transfers can take around 7 to 10 business days, while e-wallets are much faster at just 24 to 48 hours. Credit cards take between 1 to 3 days. The following withdrawal methods are available for casino clients. 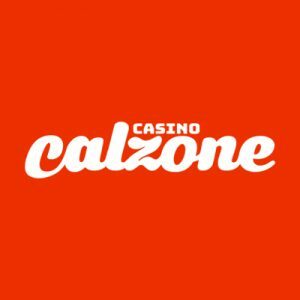 Cal, the Swedish pizza kingpin chose to operate Calzone Casino by integrating the highly acclaimed MT SecureTrade platform which guarantees a huge choice of slots, jackpot slots, table and live casino. The casino games are created by top providers such as Netent, Microgaming and Play’n GO but there are also games powered by Scientific Games, NYX and Elk Studios. Expect to find your favourite slot games and also many more you might not have heard of. At Cal’s place, you can enjoy popular slot games like Starburst, Lost in Vegas, Dead or Alive and Dragon Spin and more than enough Progressives like Mega Moolah, Divine Fortune, Hall of Gods and Mega Fortune. Searching for the perfect slot to play is easy on the Calzone website, just click your favourite game or search the lobby for the slots which are categorised by high volatility, sticky wilds, free spins and more. They have a daily “chef special” featuring their recommendations and a large selection of table games. Here you will find European, American and French Roulette, Blackjack and Poker. They don’t offer many table and card games and have concentrated their main focus on the slot games. Try some of their great titles including Blackjack Multi-Hand, European Roulette, Red Dog, Pai Gow Poker, and Multi-Wheel Roulette Gold. A Live Casino is a webcast of a real life casino and a real life dealer presenting the cards, or spinning the roulette wheel. Players can play from the comfort of their home or at their desktops while enjoying a very immersive experience including chatting to the dealer. Casino Calzone has a large variety of live casino games. Roulette and Blackjack fans will be very satisfied with the games available and Poker fans can also enjoy Casino Hold’em and Three card poker. Why not try the live casino today and see for yourself why it has become so popular. Here’s a few games that will surely fit the grade: Live Roulette HD, Live Common Draw Blackjack HD, and Live French Roulette La Partage HD. These days mobile casino enthusiasts prefer to play on the go via mobile or tablet. Casino Calzone have adapted their website for mobile play and it works very well. They accept payment from several online payment methods and this is to their advantage as most mobile users prefer to connect their E-wallet accounts like Skrill, Neteller, or a similar service rather than enter their bank details every time. This site is compatible with all the modern mobile operating systems. The sites optimisation is written into the actual HTML 5 code which contributes to a great mobile user experience. Their optimised site is fully compatible with a wide range of mobile devices on iOS and Android operating systems. Calzone Casino is committed to security and player safety and use SSL encryption for player protection. The casino also secures all their financial transactions with the Payment Card Industry Data Security Standard which is a set of security protocols for companies that deal with credit cards from the major card schemes. They are licensed with the Malta Gaming Association. Malta is a European country that since the year 2000 has been one of the most popular places for online casinos to secure gaming licences. Through the Lotteries and Gaming Authority of Malta, the online gaming licence ensures that casinos can provide players with a regulatory framework in the event of issues that arise. 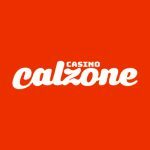 Casino Calzone is also registered with the UK Gambling Commission, the entity that licenses and regulates the National Lottery and casinos in Great Britain. Casino Calzone has a very useful and extensive FAQ section at the bottom of the screen where most of your questions can be answered. If you need to speak to the customer service team then you have a few ways of doing this. There is a live chat link on their website which can be accessed 24/7 from anywhere on their site simply by heading to the bottom right of the page and clicking the pop up blue circle with the speech bubble. You can also send an email at [email protected] but be prepared for a long wait for your reply. Casino Calzone provides a very fun and interesting casino experience. They work with the best casino software providers and instant play is optimised for a superior mobile experience. There are so many slot games available that finding the right one will be no problem and even table and card games are few but of excellent calibre. Choice and variety are the key words here and the app also offers a huge range of more than 300 slots by leading software producers. The site is new but it has already captivated the imagination of their clients. This and great customer service and top of the range security and encryption technology ensuring client security, is always a point in an online casinos favour. The generous welcome bonus package and their ongoing promotions, the Holy Calzone loyalty programme and 24/7 support make it a very good online casino with enough variety to keep things fresh and interesting. Although they do not have a huge selection of table and card games, the big progressives, a large catalogue of titles and a live casino will keep you entertained for hours of fun play.